Based at Whangarei Hospital, this position for a Specialist Physician for Older People is part of a service which provides care for older people across Northland. The role is based at Whangarei Hospital which is a 250-bed district hospital with all major specialities. As the successful applicant you will be part of a team of five specialist physicians for older people and work alongside a growing psychiatry for older people service and acute stroke service. This service provides for the rapidly growing older population of Northland which includes over 30,000 people aged 65 years or over. It has a 24-bed Assessment and Rehabilitation ward at Whangarei Hospital which includes a 6-bed Acute Stroke Unit. There are associated community rehabilitation teams, a region-wide needs assessment service and gerontology nurse specialist programmes. The hospital provides visiting outpatient clinics on five sites across Northland and residential care and home visiting services. 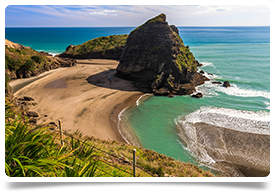 The region covers an area of 12,600 square kilometres with a population of over 170,000 and is well known in New Zealand for its laidback way of life. The region is an area rich in Maori and European history, and has great cultural significance to the Maori people, some of the oldest traces of Maori settlement can be found here and newcomers will experience a real connection with the culture and way of life. With its high sunshine hours and fantastic natural environment, including white sandy beaches and native forests, it has the reputation of being one of the country’s premier tourist and lifestyle destinations, and is a popular holiday choice for Kiwis in the summertime. You can enjoy al fresco dining, world class scuba diving, fishing, sailing, surfing, swimming with dolphins and so much more. 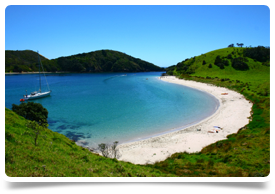 Popular water recreation areas include the Bay of Islands and Poor Knights Islands Reserves. The city itself has undergone a lot of development in the last few years and now plays host to active theatre groups, many visiting artists, and is known countrywide for its annual Garden Festival and Opera in the Garden. The area has a busy domestic airport, as well as excellent transport links to Auckland, New Zealand’s largest city which is only two hours away. In a nutshell, it’s a beautiful spot where outdoor enthusiasts and families of all ages can enjoy a truly balanced lifestyle. We have assisted many Doctors in making the move to New Zealand and we’d be delighted to discuss the options with you in strictest confidence. Please get in touch with Tina at tina@headmedical.com with a copy of your cv.